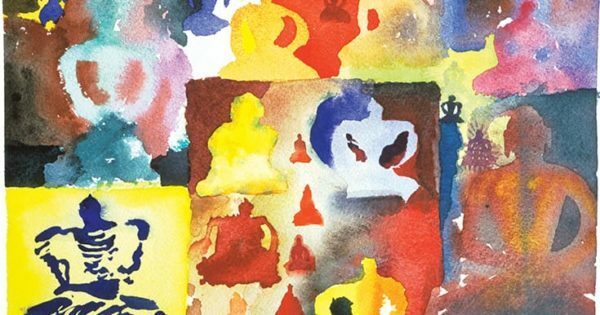 Buddhism is about us, our minds, and our suffering — it’s about being human. 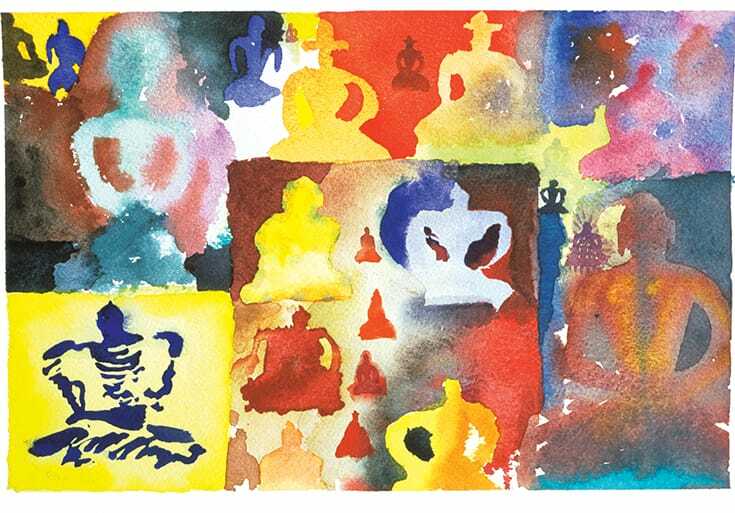 Melvin McLeod shares 10 reasons why Buddhism has something to offer everyone. It wasn’t so long ago that most Americans took their religion for granted. You were born into a religion, you lived in it, and you died in it. Except for a few daring freethinkers, that’s the way it was as recently as the 1950s, and that’s still the way it is in most of the world today. It’s the way we’ve related to religion for thousands of years. Until now. Today, a significant and growing number of Americans do not identify themselves as members of any religion. According to a Pew Research Report, 20 percent of Americans — one-fifth of the adult population — describe themselves as religiously unaffiliated. That’s up from 15 percent just five years ago, and the percentage goes higher the younger you are — up to 72 percent for Generation Y. Are You “Spiritual But Not Religious”? About a third of the religiously unaffiliated describe themselves as atheists. But the rest — some thirty million Americans — maintain some type of spiritual belief and practice, even though they no longer feel at home in a church, synagogue, or mosque. These are the famous “spiritual but not religious,” philosophically the fastest-growing demographic in the U.S. Generally, they’re educated, liberal, and open-minded, with a deep sense of connection to the Earth and a belief that there’s more to life than what appears on the surface. Buddhism is about realization and experience, not institutions or divine authority. This makes it especially suited to those who consider themselves spiritual but not religious. Perhaps this describes you. Perhaps, as a reader of Lion’s Roar, you’re one of the many people who has discovered that Buddhism has a lot to offer your life and spiritual practice, without some of the downsides of institutionalized religion. To put it another way: Is Buddhism the religion for people who don’t like religion? Buddhism is unique among the world’s major world religions. (Some people debate whether Buddhism is in fact a religion, but for now let’s assume it is.) Buddhism is the one world religion that has no God. It is the nontheistic religion. That changes everything. Yes, like other religions Buddhism describes a nonmaterial, spiritual reality (perhaps the realer reality) and addresses what happens after we die. But at the same time, it is down-to-earth and practical: it is about us, our minds, and our suffering. It’s about being fully and deeply human, and it has something to offer everyone: Buddhists of course; but also the spiritual but not religious, members of other religions, and even those who don’t think they’re spiritual at all. Because who doesn’t know the value of being present and aware? See also: Is Buddhism a Religion? First, a couple of cautions. Like other religions, Buddhism is practiced at different levels of subtlety, and sometimes it can be just as theistic as any other religion. Buddhism is practiced by people, so there’s good and bad. We come to Buddhism as we are, so there’s definitely going to be ego involved. That’s no problem — it’s the working basis of the path. The key is where we go from there. Also, much of what I’m saying about Buddhism also applies to the contemplative traditions of other religions. In fact, contemplatives of different faiths often have more in common with each other than they do with practitioners of their own religion. It comes down to how much we personify or solidify the absolute —whether it’s a supreme being who passes judgment on us or an open expanse of love and awareness. In their experience of God, Thomas Merton, Rumi, and Martin Buber had more in common with the Buddha (and each other) than with most practitioners of their own faith. This is not an attempt to convert anyone to Buddhism. There is no need for that. But those who think of themselves as spiritual but not religious can find a lot in Buddhism to help them on their personal path, however they define it. The difference is that meditation is the very essence of Buddhism, not just the practice of a rarified elite of mystics. It’s fair to say that Buddhism is the most contemplative of the world’s major religions, which is a reflection of its basic nontheism. 1. There is no Buddhist God. Different schools of Buddhism have different views about who the Buddha was. Some say he was an ordinary human being who discovered the path to awakening; others say he was already enlightened but followed the path to show us how it’s done. But one thing is certain: he was not a God, deity, or divine being. His faculties were purely human, any of us can follow his path, and our enlightenment will be exactly the same as his. Ultimately, we are no different from him, and vice versa. Admittedly, there are lots of Buddhist images that look like gods and deities, all kinds of colorful and exotic beings. The Buddhist cosmos is a vast one, containing infinite beings of different minds, bodies, faculties, and realms. Some are more subtle and awakened, and others are grosser and more confused. Yet these are just the endless variations on the reality we experience right now. It may be infinitely vast and profoundly deep, it may be mysterious beyond concept, it may be far different than we think it is, but whatever reality is, this is it. There is nothing and nobody fundamentally different from or outside of it. 2. It’s about your basic goodness. Buddhism is not about salvation or original sin. It’s not about becoming somebody different or going somewhere else. Because both you and your world are basically good. With all its ups and downs, this world of ours works. It warms us; it feeds us; it offers us color, sound, and touch. We don’t have to struggle against our world. It is neither for us nor against us. It is a simple, vivid world of direct experience we can investigate, care for, enjoy, make love to. We are basically good as well, confused as we may be. In Buddhism, our true nature has many names, such as buddhanature, ordinary mind, sugatagarbha, Vajradhara, or just plain buddha — fundamental awakeness. The thing is, we can’t solidify, identify, or conceptualize it in any way. Then it’s just the same old game we’re stuck in now. We do not own this basic goodness. It is not inside of us, it is not outside of us, it is beyond the reach of conventional mind. It is empty of all form, yet everything we experience is its manifestation. It is nothing and the source of everything — how do you wrap your mind around that? All you can do is look directly, relax, and let go. 3. The problem is suffering. The answer is waking up. Buddhism exists to address one problem: suffering. The Buddha called the truth of suffering “noble,” because recognizing our suffering is the starting place and inspiration of the spiritual path. His second noble truth was the cause of suffering. In the West, Buddhists call this “ego.” It’s a small word that encompasses pretty much everything that’s wrong with the world. Because according to the Buddha, all suffering, large and small, starts with our false belief in a solid, separate, and continuous “I,” whose survival we devote our lives to. It feels like we’re hopelessly caught in this bad dream of “me and them” we’ve created, but we can wake up from it. This is the third noble truth, the cessation of suffering. We do this by recognizing our ignorance, the falseness of our belief in this “I.” Finally, the Buddha told us that there is a concrete way we can get there, which basically consists of discipline, effort, meditation, and wisdom. This is the fourth noble truth, the truth of the path. 4. The way to do that is by working with your mind. So, according to the Buddha, the problem is suffering, the cause is ignorance, the remedy is waking up, and the path is living mindfully, meditating, and cultivating our wisdom. There’s really only one place all that happens: in our minds. The mind is the source of both our suffering and our joy. Meditation — taming the mind — is what gets us from one to the other. Meditation is Buddhism’s basic remedy for the human condition, and its special genius. The Buddhist path of meditation begins with practices to calm our wild mind. Once the mind is focused enough to look undistractedly into reality, we develop insight into the nature of our experience, which is marked by impermanence, suffering, nonego, and emptiness. We naturally develop compassion for ourselves and all beings who suffer, and our insight allows us to help them skillfully. Finally, we experience ourselves and our world for what they have been since beginningless time, are right now, and always will be — nothing but enlightenment itself, great perfection in every way. 5. No one can do it for you. But you can do it. In Buddhism, there is no savior. There’s no one who’s going to do it for us, no place we can hide out for safety. We have to face reality squarely, and we have to do it alone. Even when Buddhists take refuge in the Buddha, what they’re really taking refuge in is the truth that there’s no refuge. Not seeking protection is the only real protection. So that’s the bad news — we have to do it alone. The good news is, we can do it. As human beings, we have the resources we need: intelligence, strength, loving hearts, and proven, effective methods. Because of that, we can rouse our confidence and renounce our depression and resentment. But while no one can do that for us, help and guidance is available. There are teachers — women and men who are further along the path — who offer us instruction and inspiration. They prove to us it can be done. Our fellow practitioners support our path, while never allowing us to use them as crutches. The Buddhist teachings offer us wisdom that goes back 2,600 years to the Buddha himself. We can go right to the source, because the lineage that started with Gautama Buddha is unbroken to this day. 6. There is a spiritual, nonmaterial reality. Some people describe Buddhism as the rational, “scientific” religion, helping us lead better and more caring lives without contradicting our modern worldview. It is certainly true that many Buddhist practices work very nicely in the modern world, don’t require any exotic beliefs, and bring demonstrable benefit to people’s lives. But that’s only part of the story. Buddhism definitely asserts there is a reality that is not material. Other religions say that too; the difference is that in Buddhism this spiritual reality is not God. It is mind. Is my mind made of matter or is it something else? Does my mind have characteristics, like thoughts, feelings, and identity, or is it the space within which these things arise? Does my mind change constantly or is it continuous? Is it one thing or many? 7. But you don’t have to take anything on faith. There is no received wisdom in Buddhism, nothing we must accept purely on the basis of somebody else’s spiritual authority. The Dalai Lama has said that Buddhism must give up any belief that modern science disproves. The Buddha himself famously said, “Be a lamp unto yourselves,” and told his students they must test everything he said against their own experience. But it is easy to misinterpret this advice. Our modern egos are keen to take advantage of it. While we shouldn’t accept what others say at face value, this doesn’t mean we should just accept what we tell ourselves. We have to test the teachings of Buddhism against our direct life experience, not against our opinions. And while modern science can prove or disprove old beliefs about astronomy or human physiology, it cannot measure or test the nonmaterial. Buddhism values the rational mind and seeks not to contradict it in its own sphere. But it doesn’t tell the whole story. Finally, it is the rare person who can navigate the spiritual path alone. While retaining our self-respect and judgment, we must be willing to accept the guidance, even leadership, of those who are further along the path. In a society that exalts the individual and questions the hierarchy of the teacher-student relationship, it is a challenge to find a middle way between too much self and not enough. 8. Buddhism offers a wealth of skillful means for different people’s needs. Buddhism is not a one-path-fits-all religion. It’s highly pragmatic, because it’s about whatever helps reduce suffering. Beings are infinite. So are their problems and states of mind. Buddhism offers a wealth of skillful means to meet their different needs. If people are not ready for the final truth, but a partial truth will help, that’s no problem — as long as it actually helps. The problem is that things that feel helpful — like going along with our usual tricks — can sometimes make things worse. So the Buddhist teachings are gentle, but they can also be tough. We need to face the ways we cause ourselves and others suffering. Buddhist meditators have been studying the mind for thousand of years. In that time, they’ve tested and proven many techniques to tame the mind, lessen our suffering, and discover who we are and what is real (and not). There are meditations to calm and focus the mind, contemplations to open the heart, and ways to bring ease and grace to the body. It’s fair to say, as many people have, that Buddhism is the world’s most developed science of mind. Today, people who want to explore Buddhism have many resources at their disposal. For the first time in history, all the schools and traditions of Buddhism are gathered in one place. There are fine books, excellent teachers (many of them now American), practice centers, communities, and indeed, magazines. These are all available for you to explore according to your own needs and path. You can practice meditation at home or go to a local center and practice with others. You can read a book, attend classes, or hear a lecture by a Buddhist teacher. Whatever works for you — no pressure. 9. It’s open, progressive, and not institutional. While Buddhism in its Asian homelands can be conservative, convert Buddhists in the West are generally liberal, both socially and politically. Whether this is an accident of history or a natural reflection of the Buddhist teachings, Buddhist communities embrace diversity and work against sexism and racism. Identities of all sorts, including gender, nationality, ethnicity, and even religion, are not seen as fixed and ultimately true. Yet they are not denied; differences are acknowledged, celebrated, and enjoyed. Of course, Buddhists are still people and still part of a society, so it’s a work in progress. But they’re trying. Many Americans have turned away from organized religion because it feels like just another bureaucracy, rigid and self-serving. 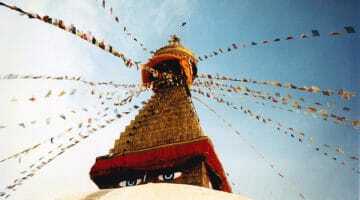 Buddhism has been described as disorganized religion. There’s no Buddhist pope. (No, the Dalai Lama is not the head of world Buddhism. He’s not even the head of all Tibetan Buddhism, just of one sect.) 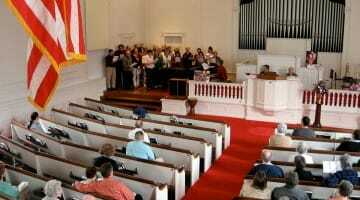 There is no overarching church, just a loose collection of different schools and communities. As you’ll quickly discover if you go to your local Buddhist center, things may run smoothly (or not), but the atmosphere is likely to be open and relaxed. It probably won’t feel institutional. We can’t see or measure subjective experience, so we can’t judge directly the effect Buddhism is having on someone else’s mind and heart. But we can see how they act and treat other people. We can hear what they say about what they’re experiencing inside. What we find is that Buddhism works. For millennia, Buddhism has been making people more aware, caring, and skillful. All you have to do is meet someone who’s been practicing meditation a lot to know that. In our own time, hundreds of thousands of Americans are reporting that even a modest Buddhist practice has made their life better — they’re calmer, happier, and not as carried away when strong emotions arise. They’re kinder to themselves and others. But it’s really important not to burden ourselves with unrealistic expectations. Change comes very slowly. You’ll also see that when you meet a Buddhist meditator, even one who’s been at it for a long time. Don’t expect perfection. We’re working with patterns of ignorance, greed, and anger that have developed over a lifetime — if not much longer. Change comes slowly for most of us. But it does come. If you stick with it, that’s guaranteed. Buddhism works. When I first encountered Buddhism, what struck me was its absolute integrity. I saw that it was not trying to manipulate me by telling me what I wanted to hear. It always tells the truth. Sometimes that truth is gentle, softening our hearts and bringing tears to our eyes. Sometimes it is tough, forcing us to face our problems and cutting through our comfortable illusions. But always it is skillful. Always it offers us what we need. We are free to take what we wish. Buddhism and Unitarian Universalism: What’s the connection? Thank you Lion’ Roar, if only this simple explanation of what Buddhism isn’t could be in every school child’s satchel, and adults for that matter. In this turbulent world state of mind the Buddhas timeless message of self governance is perhaps our only hope for the suffering we see daily. Good article! I am in the category of people that are not religious but are spiritual. I have belonged to several Christian churches, and have visited many other religious faiths and explored several “isms.” I also explored atheism for several years and found it rather empty and missing something. So, I AM exploring the Tao and Buddhism. So far, I am comfortable with them . . .it feels good. Thank you for your enlightened thinking!